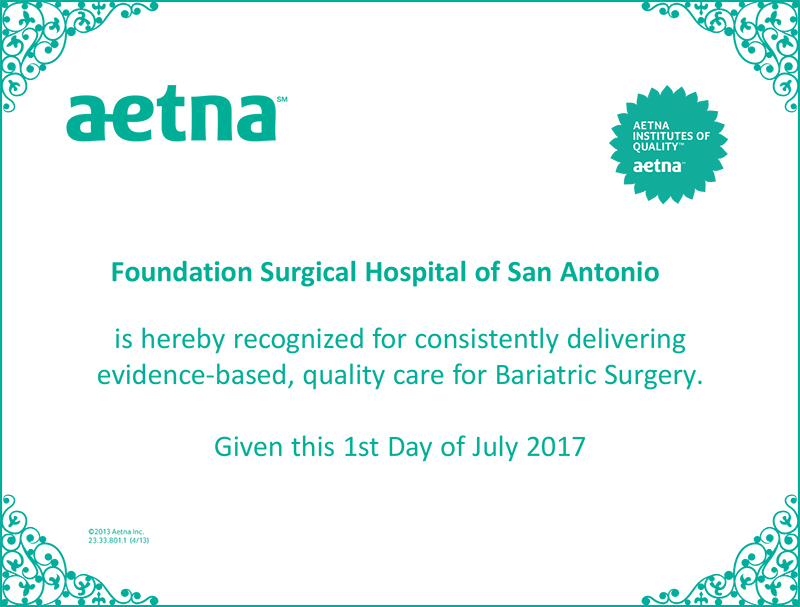 Our patients are our top priority, which is why we are proud to have some of the best, most experienced bariatric surgeons in Texas. All of our bariatric surgeons are fellowship-trained, most are board-certified, Center of Excellence surgeons. In fact, we have a National REALIZE™ Band Proctor and a Gastric Bypass Proctor — members of very select groups that train other surgeons. These surgeons are not only some of the best in their field but they have an extraordinary passion for helping you in your weight loss journey. Find out more about them and how they can help you at one of our FREE Weight Loss Seminars. From the ground up, Foundation Surgical Hospital was built with the bariatric patient in mind. Everything from the design of the chairs throughout the hospital to the inclusion of a 2,000 square foot workout facility in the HealthPlex that allows our bariatric patients to find everything they need on one convenient medical campus. Surgical stapling reduces the stomach to a small “pouch” which restricts the amount of food required to produce a feeling of fullness (satiety). This procedure is performed laparoscopically (minimally invasive) and generally requires a 2-3 day hospital stay and a 2-3 week recovery. 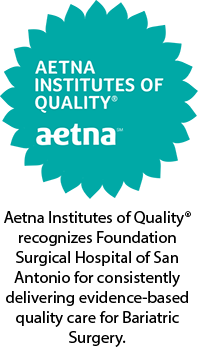 Extensively studied and one of the most frequently performed weight loss surgerys in the U.S. In this procedure, a portion of the stomach is removed and the remaining stomach is the shape of a slender tube that greatly limits the amount of food that can be consumed. This procedure is also performed laparoscopically (minimally invasive). You can expect a 2-3 day hospital stay and a 2-3 week recovery. A band is placed over a portion of the stomach and is gradually tightened over the course of several months to slowly reduce the amount of food required for satiety. This procedure can be performed on an outpatient basis and usually requires 1-2 weeks for recovery.